Viper Performance’s Hose Joiners are ideal for joining hoses for Intercoolers, Radiators, Air induction, Superchargers, intercooler systems or for making any D.I.Y system. Viper Performance Aluminium Hose Joiners are designed to fit perfectly with any universal silicone hose. Our mandrel bends have the tightest bend radius on the market, most of the mandrel bends are 1.2D. 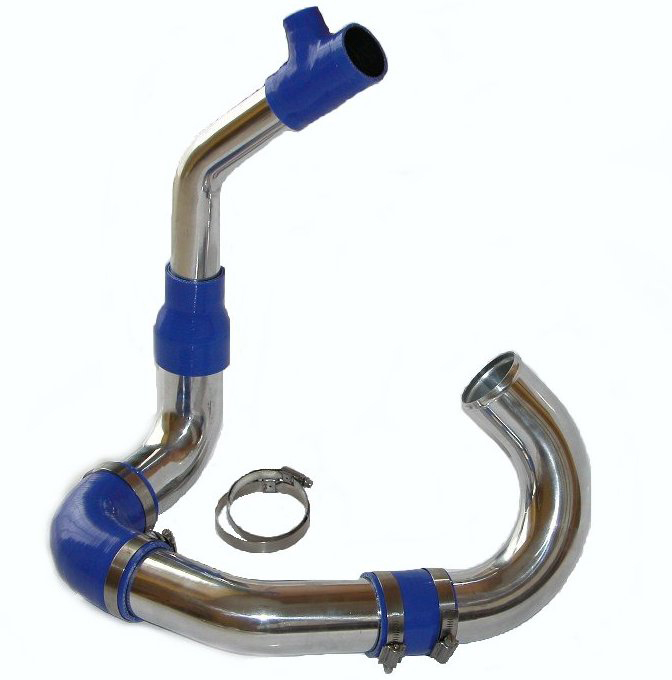 We also offer a bespoke or OEM manufacturing service, for induction, intercooler pipes, Coolant etc..We can fabricate aluminium mandrel bends and pipes from sample or drawing with brackets, MAF sensors, breathers, Boses etc... as well as offer several surface finishes such as Polished, Natural, Brushed, Powder coated or painted. Bespoke pipes are subject to minimum orders. We do not offer one offs, but can recommend fabricators for this. If you require more information on the Hose Joiners we have to offer, contact us today. We can supply suitable silicone hoses to join your pipes together. 40,000 Silicone Hoses in stock for immediate dispatch ! Over 400 different shapes and sizes ! With BLUE, RED, and BLACK silicone hoses in stock today. We also produce the largest range of colours made to order (minimum order applies) check our colour section for info. ANY SHAPE, ANY SIZE ! Need something longer, shorter, bigger, smaller etc.. We can help ! From a simple one off bespoke hose to large 100,000 unit order. Call our helpful and knowledgeable technical sales dept, to discuss your needs. You will also find most of your questions answered and valuable information on the custom manufacturing section in the home page. Here at Viper performance we have a range of braided hoses available. They are all high quality and there specifications make them ideal as fuel hoses or brake lines. Sold by the meter, these braided hoses are very competitively priced. NBR rubber lined Steel Braided hoses are specially designed for use with Oil and suitable for all grades of Fuel including race fuel. As an alternative to Silicone Hoses we supply Quality Stainless Steel Braided hoses for high temperatures, and high pressures. 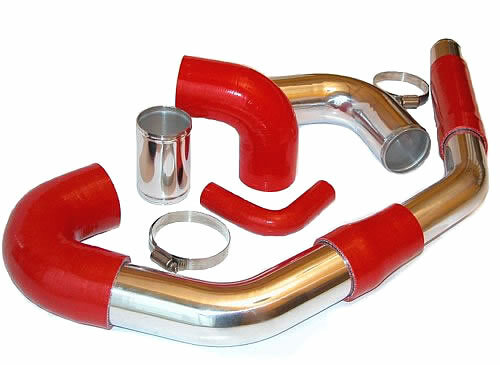 Or NBR (Nitrile Rubber) inner lined hoses work well for fuel lines, carburettor, breathers, Oil coolers etc..
We also provide PTFE lined hoses suitable for brake lines, clutch, fuel etc..
With a good range of standard fit swivel end hose fittings anodised in Blue / Red and BLACK you have everything you need on this site to do your water / air / oil / fuel connections. For more information on our Braided hose and fuel hose range, contact us today. Take a look at our very useful hose cutter and our full range of hose fittings to suit. We also do thermal sleeves to protect your hoses. From the 1st of SEPT 2009, Viper Performance where the first in the market to warranty its silicone hoses. Confident with our quality after 4 years with a 0.01% defect rate. From 1st NOV 2013, ALL VIPER BRANDED SILICONE HOSES NOW HAVE A LIFETIME GUARANTEE ! What parts are included under warranty? What parts are NOT included under the lifetime warranty? Breather filters, Ducting, Braided Hoses, Hose fittings, and all accessories are excluded. no branding are warranted for 3 years. is of incorrect or unsuitable specification for the customer's intended use and application. temperatures and burst pressures detailed on Viper Performance's technical pages of the website. the purchaser on suitable grades. contact details. Warranty claims will be void without proof of purchase and faulty part to inspect. The cost of carriage of returned parts to Viper Performance is the responsibility of the purchaser. should the warranty claim be honored. claim according to our testing and inspection criteria. please allow 3-5 working days for processing. Parts and warranty claims should be sent to Viper by recorded delivery or similar signed for service. the claim. A replacement product will not be offered. No cash alternative can be claimed for. makes a payment in full for the cost of shipping the item(s) back to the purchaser. Viper Performance will hold parts which fails the warranty claim for a maximum of 90 days. or if no further communication is received. purchaser with lead times for producing replacement parts or for the failure of the part. Replacement parts will be of the same size, specification , dimension, colour as originally ordered. No cash alternative or further compensations will be offered by Viper Performance in any way. may change, its designs, colour tones, logos, and specifications over time. or nomex reinforcements should have originally be specified. than the original intended use, engine or vehicle, the use of incorrect clamps, or incorrectly tightened. too loose for the intended use (purchaser has bought the incorrect size and tried to fit this). grade should have originally be purchased. Hoses which show signs of damage due to incorrect or unsuitable clamping cannot be covered by warranty. Waterless coolant systems must have correct grade OAT resistant hoses. under warranty as long as the mechanical properties of the hose remain fit for purpose. Viper Performance cannot warranty hoses which may have perished due to aggressive unsuitable coolants. claims will be void and all of the parts claimed for in the event of a multiple parts claim will also be void.